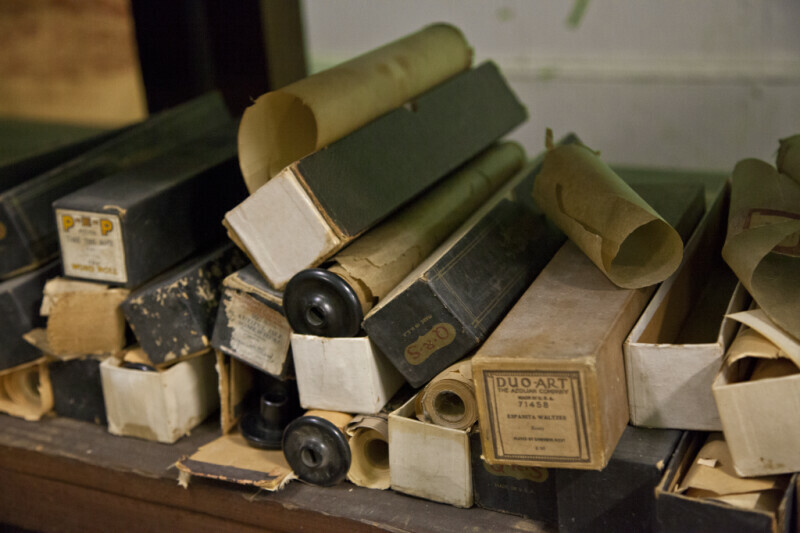 These are music rolls for a player piano. The paper is wrapped around a tube with plastic end caps. Some of the rolls are in cardboard boxes. There is a jumbled pile of music rolls on this shelf. WARNING: You are about to download a 42.3 MB TIFF!